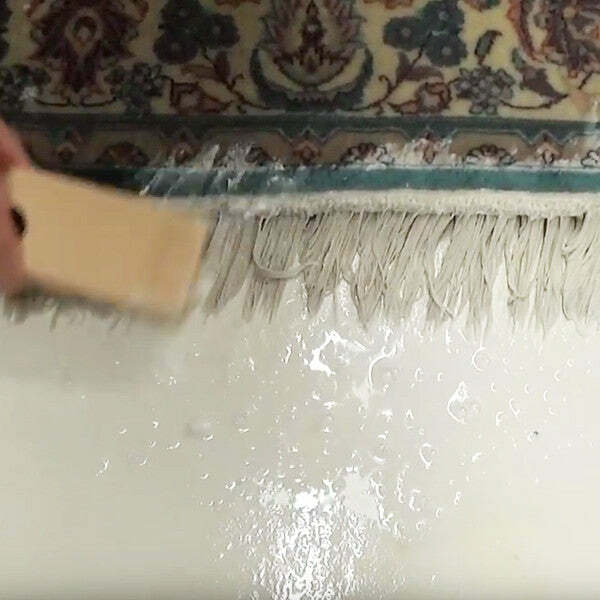 Fringe Plus is a highly effective and easy to use product designed to release soiling from the FRINGES and FACE YARNS of almost all types of fringes on oriental rugs. It safely and effectively cuts through the carbon bonds of organic dirt, grime, oil and grease molecules. The paste version is the consistency of a paste vs. the liquified version that is more like a lotion in consistency. Both paste and liquified versions work identically - it is just the users preference. As many rug washers have found since its introduction, even rugs that have been neglected for many years without proper care can be successfully cleaned with this product. 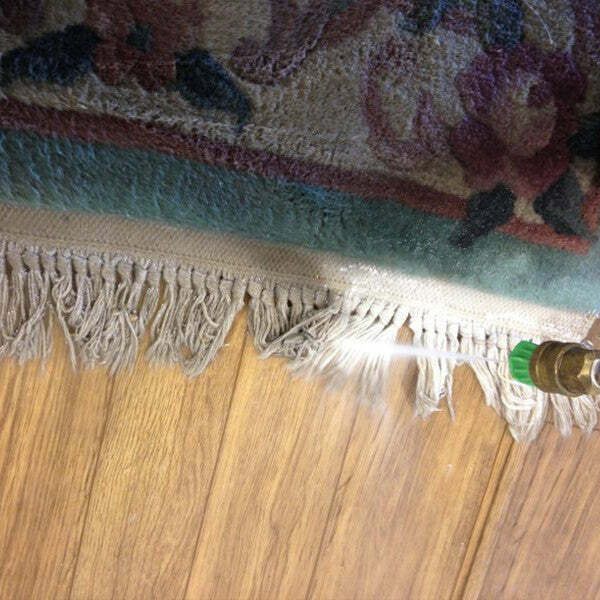 It thoroughly cleans the flat woven salvage ends of rugs as well as the knots and fringes leaving textiles amazingly bright and clean. Fringe Plus contains no bleach of any kind and is completely safe to use on silks, wool, rayon and cotton. A truly professional cleaning product for the rug care professional, Fringe Plus restores the dull and dirty fringes and face yarns to their natural color and beauty. Fringe Plus targets embedded dirt, grime, oil and grease. Fringe Plus is easily applied with a brush and quickly rinses out without any residue. "100% safe on every rug"